Are you in the Mid-Atlantic area? Education and experience don’t count for much if you don’t present yourself in a professional manner. Keystone Industrial Services makes sure that every member of our staff always presents the image we want our company to have. 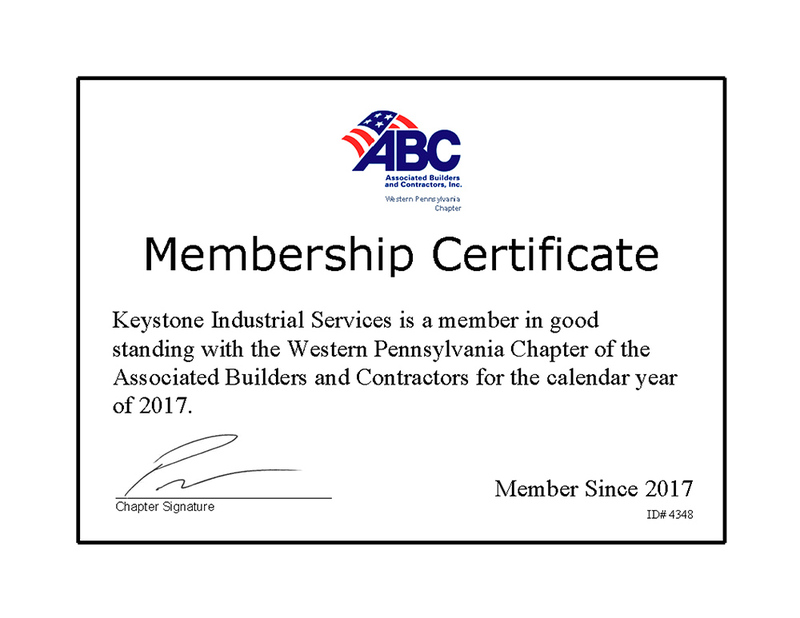 Keystone Industrial Services, Inc. is an Industrial contractor who performs Insulation, Scaffolding, Industrial Coatings, Environmental services, Siding and Removable insulation pads. Industrial clients we support are Pharmaceutical, Power, Chemical, Gas and Petroleum. Our company owners have been serving the industrial community for construction and facility maintenance for over forty-four years and understand the complex customer needs and problems. All of our employees receive ongoing safety and training because we have OSHA Construction industry trainers and NACE paint inspectors on staff to ensure that we provide the most qualified, trained and experienced personnel. To provide understanding of our customer’s needs, then solutions in a safe and quality manner to our customer’s satisfaction. All information provided is provided for information purposes only and does not constitute a legal contract between Keystone Industrial Services and any person or entity unless otherwise specified. Information is subject to change without prior notice. Although every reasonable effort is made to present current and accurate information, LinkNow™ Media makes no guarantees of any kind.